Blade Golf Putter Cover. Blue Blade Putter cover. Limited Edition Style Putter Cover. Black Faux Fur lining, for ultimate protection. Zone B -DD, DG, EH, FK, G, KA (except KA27-28), KY, ML TD, AB1- AB16, AB21-AB25, AB30, AB39, PA1-PA19, PHi-PH3. Taylormade M5 & M6 drivers. Banned by the USGA because it works and its hard to detect. 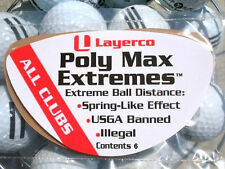 OFFICIAL LAYERCO GOLF PRODUCT Made in USA. It's USGA banned for a reason, they don't want you using it. its that easy. Headcover Conditions. Product Details. 1 New: Never been used. Made of 100% neoprene, these headcovers are thick, soft and stretchy, making them the ideal headcovers! They will keep your fairway woods safe from impacts and scrapes, eliminate their clanking and are as easy to put on and take off as a sock. SLDR Driver Headcover. TOUR EDITION MODEL. New condition (see Grading Definition below ). html. This is a hand made synthetic leather golf club headcover by Sunfish. Elastic built into the headcover for a firm fit. Fits all drivers including the 460 cc drivers Black fleece lining. 10PCS Black&Blue Callaway XR 360 Golf Club Iron Covers HeadCovers. Fits Callaway and other Irons. 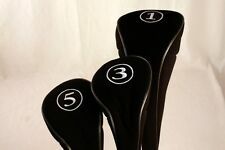 Mi nt 3 5 in ch, si mi la r to t he one Ad am S co tt p la ye d in a t ou r ev en t.
10PCS Black&Red Callaway XR 360 Golf Club Iron Covers HeadCovers. Fits Callaway and other Irons. Full Grain Leather Construction. Black - TA8NDLHC2-DR.
We Have The Most Extensive Inventory of Headcovers In The World. 1 New: Never been used. Nouvelle annonceScotty Cameron 2016 Select Blade Headcover, Brand New In Plastic. This Cover. 2016 Select Blade Headcover. Heavy duty white synthetic leather with black piping putter headcover. Fits most RH or LH heel-shafted semi-mallets and smaller mallets. Fur-lined with Velcro enclosure. TaylorMade RBZ Rocketballz Driver Headcover Head Cover Very Nice. Condition is Used. Shipped with USPS First Class Package. Provo Craft-Cricut Premium Cutting Blade. Durable and custom designed for sharp, precise cuts. Resists wear and breakage for improved accuracy. Optimized for the Cricut Explore Smart Set dial longer life. NEW Puma Monoline Hat Headcover. Model: Monoline Hat. Size: 460cc Driver. Condition: NEW! SKU: PUMA2014. Each Daphne's headcover is fully lined and elasticised to ensure a secure fit on your clubs. Widely used on both the PGA and LPGA tours, Daphne's headcovers are sure to prove popular on the fairway! Total Protection for your putter. Will suit Right or Left hand Putter. Blade Putter Cover. Clever use of a double layer piping trim ensures that the cover maintains its shape and can be easily fitted to club heads. ODYSSEY WHITE SWIRL PUTTER HEADCOVER. Fits all Odyssey blade putters plus most half-mallet style putters. Magnetic closure. NEW 2017TaylorMade M2 Leather DriverHeadcover. Condition: NEW! This is a hand made synthetic leather driver golf club headcover by Sunfish. Hand cut and hand sewn - Superior quality that can only be found with authentic Sunfish products. Elastic built into the headcover for a firm fit.